Federal employees can expect attempts to cut their pay, benefits and rights in the new Congress, as the unified Republican government looks to finally deliver on many failed efforts from previous years. 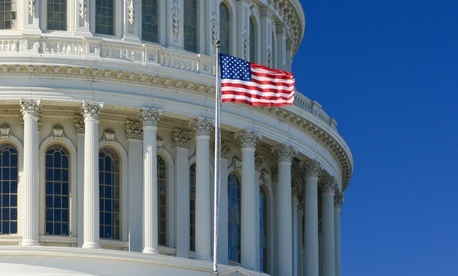 The 115th Congress wasted no time pursuing legislation with high impacts on the federal workforce; the first bill approved by the House would require the Veterans Affairs Department to permanently note all reprimands and admonishments on employee records, and a resolution setting the rules for the House this session will allow lawmakers to eliminate federal employees’ jobs and reduce their pay through the appropriations process. One likely early target for congressional Republicans, according to multiple sources familiar with their plans, is federal workers’ defined benefit pensions. Lawmakers are expected to address the reform first through the budget reconciliation process, which would allow Congress to institute the cuts without any Democratic support. The budget resolution will likely instruct the House Oversight and Government Reform committee to identify a certain amount of savings, a request committee members can fulfill by proposing significant cuts to federal employees’ retirement benefits. In the Senate, approval of the measure would require only a simple 51-vote majority, rather than a filibuster-proof 60. Republicans will likely push to strip new federal employees and those not yet vested in their pensions of defined benefits altogether, according to those briefed on oversight committee plans. Democrats are prepared for a fight, one individual said, but will focus their efforts on protecting existing feds’ benefits and may end up conceding the cuts aimed at future employees. In order to make savings more immediate, sources said, Republicans are likely to once again seek higher contributions from current feds’ paychecks toward their pensions. The original Republican fiscal 2016 House budget would have effectively cut federal workers’ pay between 2 percent and 5 percent, depending on when they were hired, through higher contributions. It also called for eventually phasing out the defined benefit program entirely. “Everything is back on the table,” said Jessica Klement, legislative director for the National Active and Retired Federal Employees Association. “It will be an environment where we need to be prepared for everything.” Klement said Republicans could attempt to bring back the “chained CPI,” which switches the formula for determining federal retirees’ cost-of-living adjustments to a less friendly Consumer Price Index calculation, as well as resurrect a proposal to determine annuities based on feds’ highest five years of earning rather than the highest three. Previous efforts to eliminate union representatives’ ability to conduct mediation-type work while receiving a taxpayer-funded salary and working in a government office have fallen short, as Republicans with significant federal workforce populations in their districts have resisted them. With a friendlier White House, sources said congressional leadership could put more pressure on its members to support the policy this time around. Republicans are also likely to go after unions’ ability to deduct dues from federal employees’ paychecks. If some standalone measures run into resistance once they are approved by committee and receive a score from the Congressional Budget Office, one individual said, Republicans could attach the provisions to a larger bill like the annual defense authorization measure. Republicans attached a reform to administrative leave to the defense bill Congress passed in December. Another priority for House Republicans, one individual briefed on their plans said, is a resurrection of George W. Bush administration practices to outsource government work. Those efforts are expected to revolve around A-76, named for a 1966 Office of Management and Budget memorandum that requires agencies to compete with private-sector firms for the opportunity to perform types of work that the agencies have decided is not inherently governmental in nature. Committee members concede the A-76 process "isn't perfect," the individual said, but is the only option they have available to privatize work. Republican members of the oversight committee "believe work can be done cheaper in the private sector,” added the individual, who expects the committee to "open the floodgates" and "privatize as much as possible." President-elect Donald Trump’s promise to freeze federal hiring has revived discussions on the need to outsource work currently conducted by federal agencies. Oversight committee Chairman Jason Chaffetz, R-Utah, is also likely to bring back his proposal to overhaul the U.S. Postal Service he introduced in the last Congress. The 2016 Postal Reform Act won backing from Reps. Elijah Cummings, Md. ; Gerry Connolly, Va.; and Stephen Lynch, Mass., the top Democrats on the panel. The committee may mark up a similar postal reform bill as soon as this month.